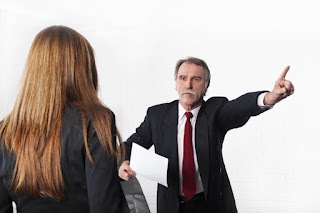 Being dismissed from work can happen at the worst time, and there are many times when it happens for reasons that are not fair to the employee. Unfair dismissal claims can provide compensation to those individuals that have been dismissed unfairly whether the unfairness branches from the way that they were fired or the reason behind it. Its often hard to determine what constitutes as unfair, however, because each person is sure to have a different opinion on what that is. A solicitor can help determine whether you have a chance an unfair dismissal claim, but there are things that you should take into consideration so that you have an idea of whether or not youre wasting their time. 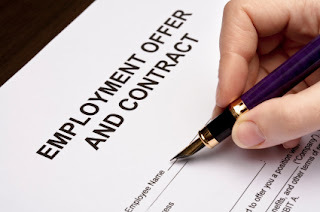 There are five reasons that the courts consider fair when it comes to dismissing an employee Redundancy, Capability or Experience, Conduct, Statutory Restrictions or legal reasons, and other substantial reasons such as refusing to except the company changes that are being made and conforming to the new requirements. There are also certain steps that an employer must take when theyre dismissing an employee in order for it to be considered a fair dismissal. Step 1 Employee must be given a written warning of the problem that could cause them to be fired. If there are any issues at all in the workplace, employers are required to inform you that something isnt working. Step 2 Disciplinary meeting to try to correct the problem that keeps occurring. When changes need to be made to the way youre working, it is important that they work with you in order to correct it before terminating you. Step 3 Written notification of the results of the disciplinary meeting. Depending on the seriousness of the problem, this could result in termination. Step 4 Employee must be given notice of their right to appeal the decision. If any of the above steps arent taken, an employee may have grounds for an unfair dismissal claim. Although it may seem that the rules are in black and white, there are areas that can get a little confusing and may require a professional. Because there are some areas that are a little greyer than others, its important to talk to a solicitor if you think that you have been unfairly dismissed from work. There are often conditions to being able to file an unfair dismissal claim. Although there are exceptions to the rule, most employees mustve worked for the company for a certain length of time in order to have the right to file for unfair dismissal. The time frame of continual employee can be anywhere from one to two years, but there are also those individuals that dont qualify at all. Freelancers are not entitled to unfair dismissal claims for instance, and neither are sub-contractors. Unfair dismissal claims also only have a three month window. You must file a claim within three months of being terminated or your case is invalid. This makes it even more important to get started right away if you thing that you may have a case. There are also circumstances where the employee may be entitled to an automatic unfair dismissal claim. These often occur if the employee was dismissed because they were exercising their general employment rights. These include everything from taking time off to care of dependents to whistle blowing and any kind of discrimination. Although there are many reasons an employee might need to take time off of work, it is also important on the employees end to make sure they aren't taking advantage of their rights. If an employee takes excessive time off of work to take care of sick family, then the employer may request a note from a doctor to ensure that they are not being taken advantage of. Regardless of whether you've been given notice for your termination or not, there are things that you must consider when determining whether or not you have cause for an unfair dismissal claim. If youre not sure if you your case is eligible, it doesnt hurt to talk to an experienced no win no fee solicitor so that you can get the benefits that youre entitled to if you are. We all think that we know our employers, but this is hardly ever the case and its hard to become comfortable in our job if we know that theres a possibility that it wont be there in a week, and unfair dismissal claims are designed to protect us from unfair termination in all lines of employment.